The second season of content for Rainbow 6 Siege kicks off today with "Operation Velvet Shell." 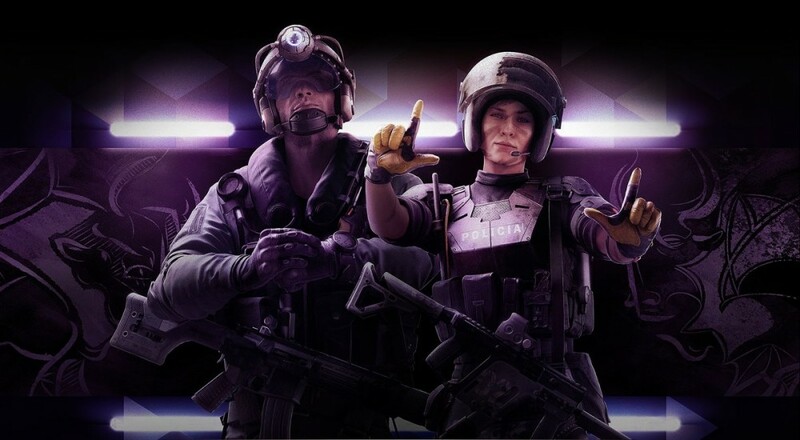 As with the past content, this new DLC brings with it a new map that's free to everyone (Coastline) and two new operators, Jackal and Mira, which you can either earn in-game currency to purchase or acquire automatically if you pick up the season pass. The Velvet Shell update also brings with it a slew of changes/fixes to the game, like an improved menu/navigation interface, a "Play" button that will just drop you right back into the last mode you played, and a dynamic challenge display that will pop up and let you know how you're progressing towards completing said challenges. The full patch notes can be found over on the main "Operation Velvet Shell" page on the Rainbow 6 Siege website. While many of the tweaks/changes/updates to the game are centered around the core competitive nature of the game, the addition of new operatives does add more playable characters you can use in the cooperative "Terrorist Hunt". Having a diverse team can certainly make it easier to take down all the foes and complete your objectives, and it sounds like adding more operators is pretty much the goal for the development team. PC Gamer spoke with brand director Alexandre Remy recently who said, "The moment that we hit 50 operators, that's the minimum that we actually want... Looking at MOBAs, those games have from 80 to 100 characters and that still works." Unfortunately, it also sounds like there won't be any more game modes coming to the game any time soon. The Velvet Shell update is rolling out across the various platforms (i.e., PlayStation 4, Xbox One, and PC), between 9:00 AM Eastern and 12:00 PM Eastern today. Page created in 0.3807 seconds.